NEW YORK (WABC) -- First thing's first. Should Joe Girardi have pulled CC Sabathia after just 77 pitches? Probably not. Should he have challenged that controversial hit-by-pitch call in the 6th inning? Yes, definitely. Should the ALDS be tied at one game apiece right now? Probably. 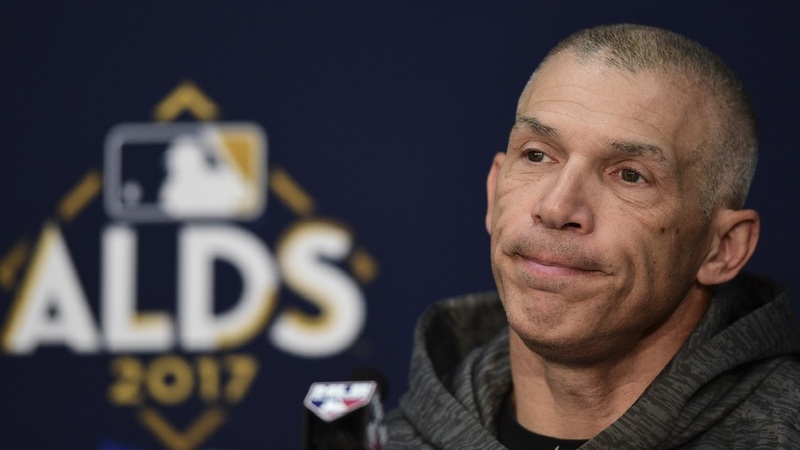 Is it Joe Girardi's fault it's not? Absolutely not. Of course, Girardi is taking all the responsibility for his team's heartbreaking Game 2 loss in Cleveland. "I feel horrible about it," he said Saturday afternoon. Girardi will always take full responsibility after a loss and give all the credit to his players after a win. It's the sign of a great leader. It's also the reason anyone blaming him for the loss should go back and count how many times the players on the field could have won that game. Brett Gardner, Aaron Judge, Didi Gregorius, Jacoby Ellsbury and Chase Headley went a combined 0-19 on Friday night. Despite their lack of production, the pitching staff was given 8 runs to work with and couldn't shut the door. Even after that backbreaking grand slam by Francisco Lindor, it was David Robertson who gave up the game-tying homer in the 8th. The Pinstripes then had five innings to score a run and escape Cleveland with a win. Plenty of things went wrong for the Yankees in Game 2. One bad decision in the dugout did not seal their fate. The Yankees skipper know it too. "Does it change the complexion of the game? Yeah, it sure could have. Do we know for sure? No." Girardi was praised on Tuesday for managing perhaps the best game of his life in the A.L. Wild Card. On Friday, fans were calling for his head. Even Aroldis Chapman liked a social media post that called for Girardi to be fired. But the truth is, the Yankees probably wouldn't have made it to the playoffs this season without Girardi at the helm.